<p data-ibu-content-type='General_description'>The Hanting Hotel (Jiujiang Railway Station) was recently renovated in 2018, making it a fantastic choice for those staying in Jiujiang. <p data-ibu-content-type='Traffic_landmarks'>With Jiujiang Railway Station just 3km away and Lushan Airport only 37km away, transportation is very convenient. <p data-ibu-content-type='Top_facilities_amenities'>At the end of a busy day, travelers can unwind and relax in the hotel or go out and enjoy the city. A pickup service can be arranged for guests upon request. For those driving themselves, parking is provided on site. 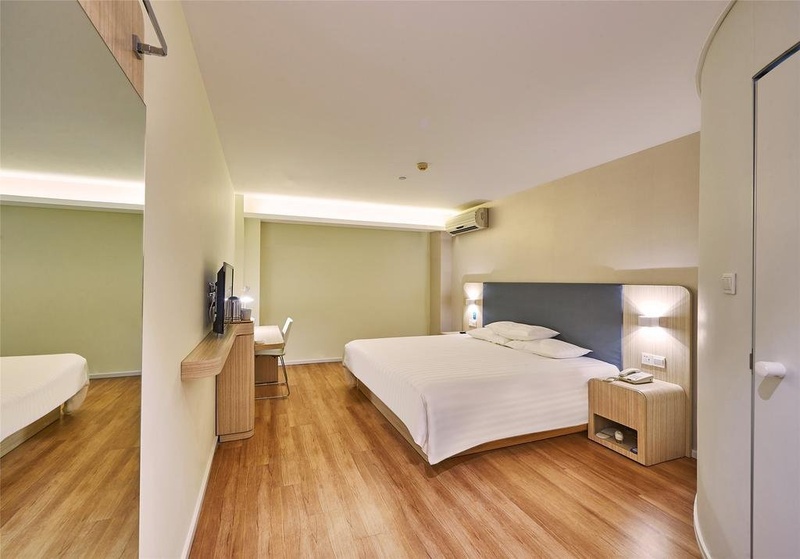 <p data-ibu-content-type='Reviews'>Our guests rate this hotel as one of the best hotels for cleanliness. For guests traveling with families, this hotel is consistently one of the most popular choices.